wow girl you are going for it today! 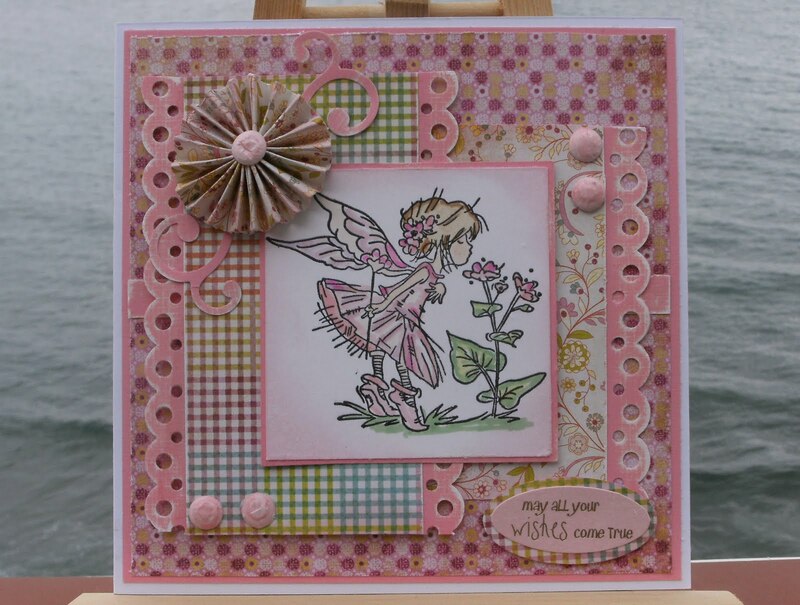 such a lovely little card, love that fan flower and those swirls. A brilliant layout and a gorgeous pleated flower. This is just beautiful Sylvie. I'm sorry we didn't manage to get to Gib last week, the nearest we got was Gaucin whilst visiting friends! Maybe next time! This is gorgeous, so many pretty details like the pleated flower and punched borders.